I’ll just say it: Amanda Seyfried is gorgeous. The girl looks like a doll. The quintessential cheerleaderesque blonde has proven her range as an actress with her complicated character Sarah Henrickson on Big Love. Though Gretchen Wieners couldn’t pull it off, I’d argue that Amanda’s character Karen Smith did make fetch happen. I’m constantly blown away by Amanda’s sleuth ability to pick the perfect medium pink lipsticks to compliment her pale complexion. While I’d posit that her hair is the only reason to watch her latest movie Dear John, there’s zero follicular variation throughout the movie. Amanda also doesn’t change her ‘do much when she glams it up on the red carpet. It’s gorgeous hair–hair I covet, even–but it’s always the same old, same old with her. Frankly, you’re boring me, Amanda. Let’s throw you in the makeover studio and see how you’d look in some edgier ‘dos, ‘kay? 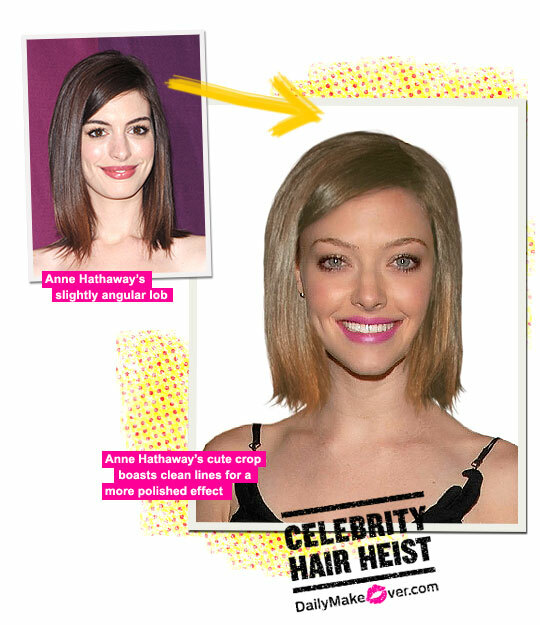 Anne Hathaway‘s long, angled bob would give innocent Amanda a small amount of street cred–she currently has all the rough edges of a Skittle. Now that’s a style even Mean Girls‘ Janis Ian would appreciate for its slightly rockin’ effect. Rachel McAdams‘ casual boho-braided updo would give Amanda a softer hippie vibe that would be a welcome change of pace from her usual Breck Shampoo commerical hair. 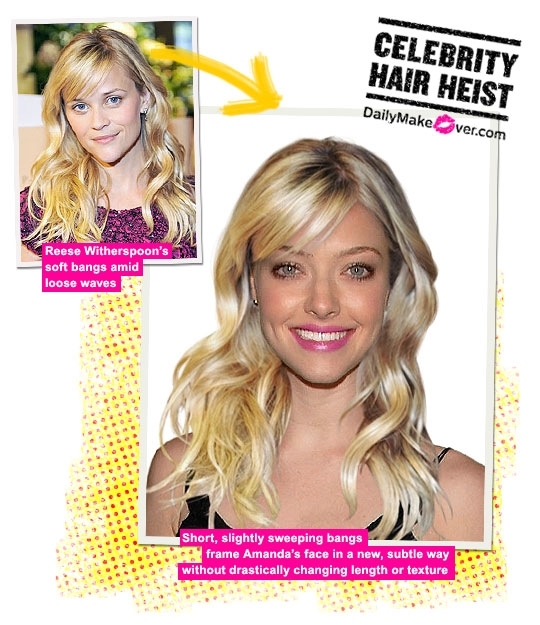 Reese Witherspoon‘s wispy bangs add a playfulness to Amanda’s signature long, wavy blonde locks. 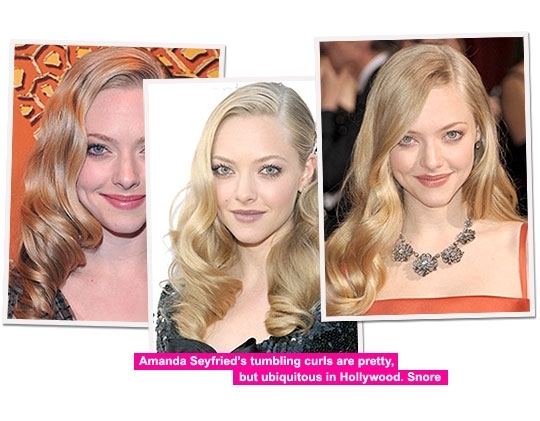 What do you think of Amanda Seyfried’s virtual makeovers? Which do you like best?